The majority of modules on iTherapeutics can be viewed on a mobile device. However, there are a very small number of flash based modules remaining on iTherapeutics. If you have any trouble accessing modules, there are a couple of Apps that will allow you to view such flash based content on an iPad or Tablet, including Puffin Browser. There is a time restricted version of this app available for free. Otherwise you can purchase the full version for a small fee. 4. I haven't received a confirmation email following my registration to iTherapeutics? The iTherapeutics email needs to be 'Whitelisted' i.e. become a 'Safer Sender' - please see FAQ No.1 for more information. If you are still unable to locate your confirmation email, please Contact Us or retrieve your account details here. 5. I am having trouble logging onto iTherapeutics – what should I do? Please refer to the member confirmation email that was sent to you upon activation of your account or check your spam/junk folder in case it has inadvertently gone there. Select 'Login' from the homepage and carefully enter your email and password, ensuring the 'Caps Lock' key has not been activated on your keyboard. 6. Internet Explorer Compatibility View Issues - what can I check? Internet Explorer Users will need to ensure their compatibility view is turned off (greyed-out) when viewing content in this website. If compatibility view is turned on certain aspects of the website will not display correctly. 7. Modules do not display after I click Enrol? In order to view the education modules on iTherapeutics, you will need Flash Player 10+ installed on your computer. If you do not have Flash Player installed you may download it for free from here. 8. I can't see the "Back" and "Next" buttons on my education module. With the education module on your screen, please press the "F11" button on your keyboard to resize the education module on your screen or switch to full size view on your browser. This should allow you to view the "Back" and "Next" buttons on the module. Module certificates are available online for all modules and can be printed upon successful completion of a module from the My Account page under your Training History. Occasionally a Supplier may prefer to distribute their certificates personally, and therefore an online version will not be made available. In these instances, please allow 6-8 weeks for the certificate to arrive. 10. When will I receive my reward (where applicable) for successfully completing a module on iTherapeutics? When redeeming your iRewards points for an eftpos card or movie tickets, please allow at least 6-8 weeks for your order to be processed. Any samples or prizes associated with successful completion of a specific module will be processed, by the participating Supplier, within 4-6 weeks. 11. Can my rewards be sent to a PO Box or residential address instead of my pharmacy store? 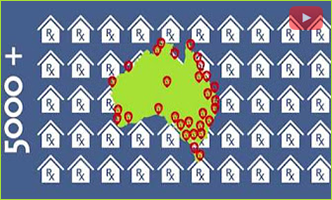 Rewards will only be sent to an address that is recognised as an Australian pharmacy store. This procedure maintains the integrity of the iTherapeutics online education program by ensuring that all users are currently employed within a retail pharmacy store. 12. I have moved to a new pharmacy store. Can my certificates and rewards be directed to my new store? If your pharmacy details have changed, please update your information via the 'Edit Details' link on the 'My Account' page. Unfortunately, we cannot redirect rewards currently in transit, so please request that your previous pharmacy redirect your rewards to your new pharmacy. 13. How can I check which modules I have successfully completed? All of the modules available on the web site are listed in the Education Modules section of the website. From this page you can start, continue, re-attempt or review your modules at any time. The modules you have completed will be identifiable from both the Education Module page or under the 'Training History' tab located on the My Account page. 14. Why are my quiz responses not being recognised? 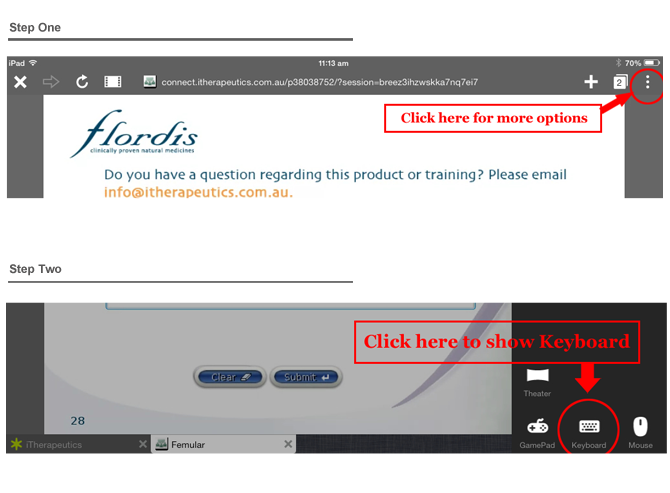 In order for the iTherapeutics training software to record your responses, you must select your response and then the submit button located at the bottom right hand corner of each quiz slide. Look for some security setting on your internet browser that gives you the option to allow the site to open. You can allow it to open with no risk to your security. The images below can serve as a guide for the problem that may occur when running our modules on Google Chrome browsers. 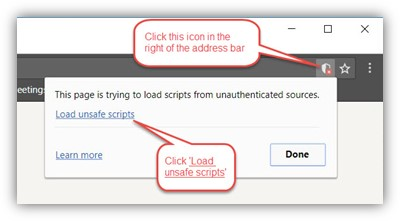 Also keep an eye out for a "pop-up blocker" located in a similar spot on the right hand side of the address bar, and click "allow pop-ups from this site" or similar. Other browsers should not encounter this issue.